Swimming pool heat pumps are the most popular method used for pool heating in Florida. A swimming pool heat pump will deliver the same amount of heat as a gas heater for 1/5th the cost. Florida’s climate is perfect for using heat pump to heat a pool due to our relatively mild winter temperatures and the fact that we have high humidity. We specialize in high efficiency Aquatherm swimming pool heat pumps. We have over 9,000 Aquatherm heat pumps installed in southwest Florida. Aquatherm heat pumps are made in the USA, located in Ft. Myers, Florida. Calorex was the pioneer in manufacturing pool heaters using heat pump technology. 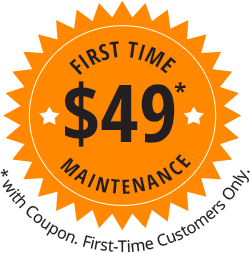 Sign up for our newsletter to receive not one, but two coupons exclusively for first-time-customers. 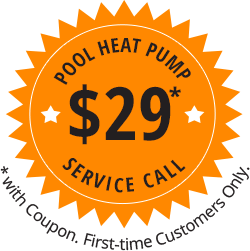 We offer a Pool Heating Audit that will show you the cost to heat your pool with a heat pump under varying conditions like pool temperatures and whether you are willing and able to use a pool blanket.